High Velocity cartridges have lubricated golden bullets that chamber easily for plinking or small game. 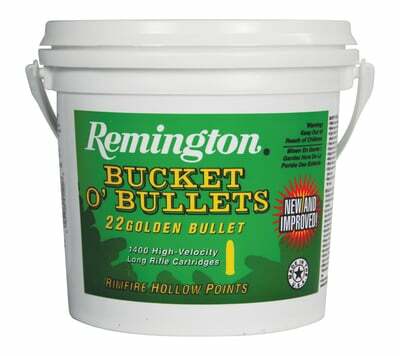 Packaged in a reusable bucket with ten pounds (approximately 1400 rounds) bulk ammunition. Four buckets per case.